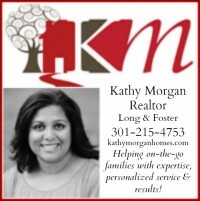 This post is in partnership with Voices for Healthy Kids, a joint initiative of the American Heart Association and the Robert Wood Johnson Foundation. All opinions expressed are my own. 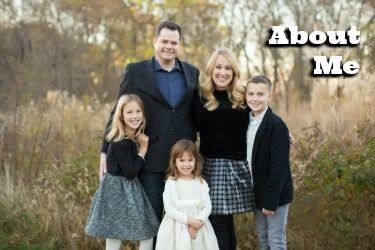 My three kids eagerly look forward to the days that their middle and elementary school schedules include physical education (P.E.). Both Eve’s fifth grade class and Alice’s kindergarten crew typically have a weekly hour of instruction with their schools’ designated gym teachers, in addition to daily recess and classroom teacher-led P.E. periods. Seventh grader Charlie’s gym period meets three days a week, twice a week for a single period and once a week for a double period. Charlie has enjoyed learning how to properly lift weights in his middle school gym periods, as well as getting to select team sports units like volleyball and basketball. Eve says that she has most enjoyed climbing the ropes course at her school gym, and like her brother, she is big fan of the court sports during P.E. time. Free spirit Alice’s favorite moments in P.E. this year in kindergarten have been learning how to jump rope, tumble and her cardiovascular favorite: dancing. In our home state of Maryland, physical education is mandated for K-8 students, but not every state stresses the importance of P.E. for students. 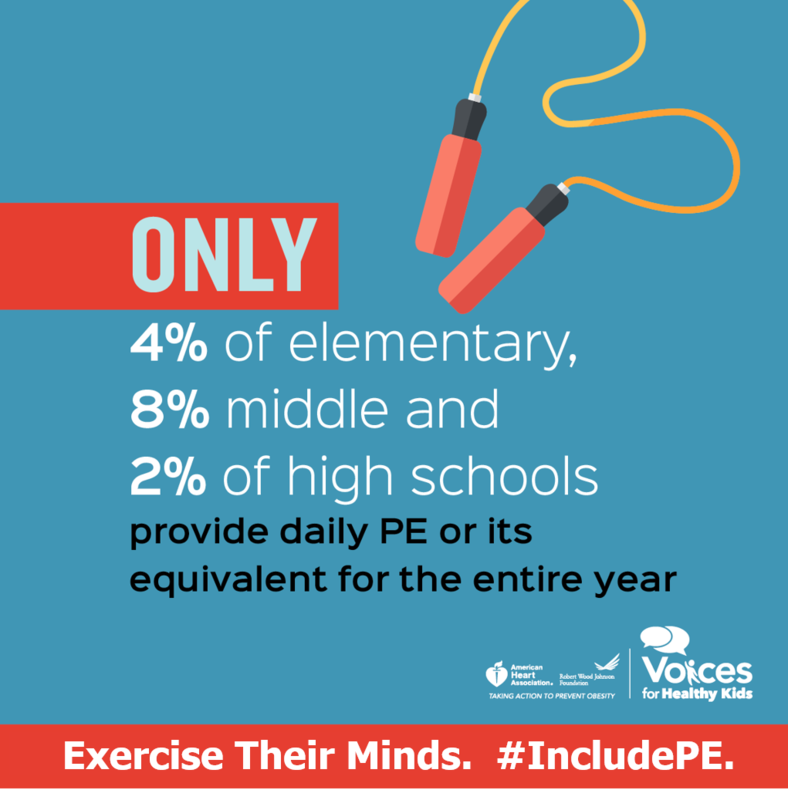 In fact, Only 4% of elementary schools, 8% of middle schools, and 2% of high schools provide daily PE or its equivalent for the entire school year. Research shows a strong connection between physical education and academic performance, and that children need at least 60 minutes of physical activity every day. I see this connection between exercise and academic focus in my own three kids, who are so much more engaged in their school work when they have time to move their bodies. According to Voices for Healthy Kids, the vast majority of our fellow parents agree. Their research shows that 95% of parents with children under the age of 18 think PE should be part of the school curriculum for all students K-12. The Voices for Healthy Kids initiative aims to foster a national conversation about the need to ensure quality physical education as a part of every child’s education. Do you know the P.E. requirements in your state? Are your own children getting enough P.E. at school? Please join me in protecting P.E. in schools by joining the PE Action Team at www.voicesforhealthykids.org/PE! 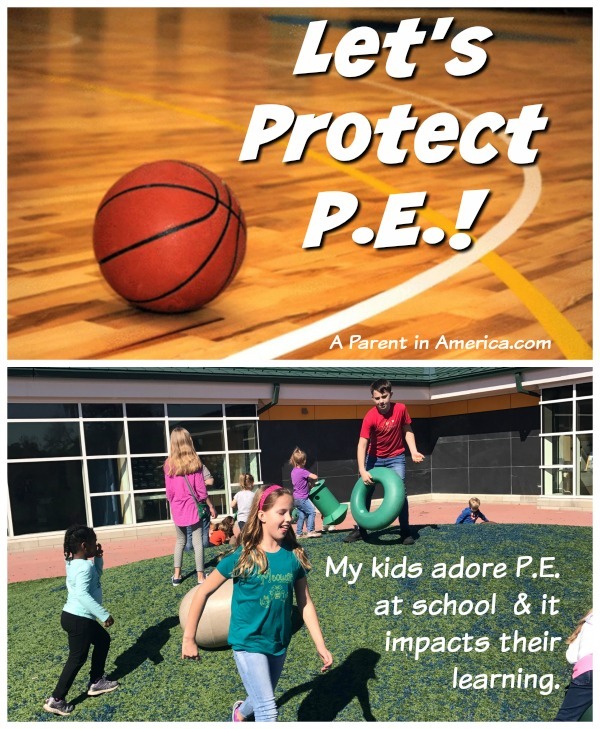 PE should be everyday! but all this common core has reduced it. Kids need to expend energy! They need to run free and get their heart rates up.